From Pink to Prevention has a number of campaign priority areas it will be working on. Priority Two: Who’s making health policy? Priority Three: Who sets the rules for funding research? Reclaim the history of the Pink Ribbon – its origins need to be known, the intentions of its originator and the degree to which that vision has been perverted. Encourage women to follow the money raised for the whole pink enterprise. The pink ribbon began with one woman in California – Charlotte Haley. In 1990 Charlotte Haley set out to promote among her friends the idea of wearing a pink ribbon in order to raise awareness about limited government spending on cancer prevention research. 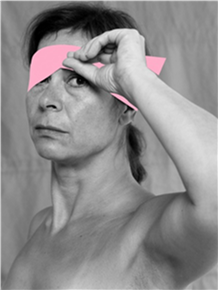 Once in the hands of skilled marketeers following the unwelcome corporate take-over of her idea in 1991, the original message about prevention was replaced by a corporates-driven fundraising campaign for breast cancer research from a % of sales of ‘pink’ products. Essential viewing: ‘Pink Ribbon Inc’ documentary film details this corporate hi-jacking of breast cancer. Currently in the UK, for example, less than 3.6% of funding is spent on prevention, mainly focused on developing and testing mechanisms to encourage positive health behaviour such as eating a balanced diet, increasing physical activity, reducing smoking, and minimising alcohol consumption. BUT it is unclear how much of this percentage is directly spent on primary prevention- environmental and occupational links to the disease. More widely, therefore, this begs the question ‘how much are we spending on direct funding for action on primary prevention ie stopping breast cancer before it starts’? So, we are asking ALL women – whether they fundraise for Pink events or not – to follow the money and ask: What percentage of money raised is going into ‘prevention’ (not early detection) by cancer charities, scientific bodies or industry? We are interested in asking the question – who makes health policy especially with regard to policy-making concerning breast cancer? The many varied speakers on our Toxic Tour in 2013 covered not just the actual environment and occupational links to the disease, but how and why these factors remain firmly excluded from influencing the debate and decision-making processes that affect the issue. We will be exploring this puzzle, as we develop the campaign. From corporate sponsorship of breast cancer support groups and events – to industry-sponsored research – have you ever thought to ask questions about the direction of funding? Have you ever been asked about how you would like the donations you may have made to breast cancer research spent? For example – have you ever thought to ask how much goes to primary prevention? There are many ways that those who control funding budgets for breast cancer research can and do control the direction that breast cancer research funding takes and so perpetuate the message that it’s mainly down to ‘lifestyle’ factors. One certain way is to ensure that the vast majority of funding gets channelled into yet more research on lifestyle factors, pharmaceutical control and genetics, while completely ignoring the ‘elephant in the room’ – primary prevention. Who decides what’s funded and where funding decisions are made? While primary prevention should not take over from better treatment, care and safer diagnoses, we argue that it should be placed on an equal footing in terms of research focus. After all, nobody wants to get breast cancer in the first place. All the conventionally accepted ‘lifestyle’ risk factors only account for 30-50% of all breast cancer cases, including the 10% of cases which are due to a family history of the disease or genetic predisposition. This percentage currently also includes the vastly underestimated number of occupationally-related breast cancer cases leaving between 50-70% of breast cancer cases with no known cause. We believe a large proportion of these cases could be down to environmental and occupationally related exposures. As breast cancer cases continue to rise the cancer establishment continues to take action almost exclusively on the establishment–defined lifestyle factors. But why are they not focusing on the 50-70% of cases which by their definition remain ‘unexplained’? Why do they refuse to acknowledge that these cases could be attributed to preventable exposures to environmental and occupational toxicants/MERCs? The funding available for research into prevention is often corralled into a narrow focus on lifestyle. Funding streams provided by cancer organisations partnering up with businesses such as health insurers, whose own vested interests are focussed on diagnosis, treatment and care, provide no guarantee that primary prevention is or will ever be addressed. We support the argument made by many, that, based on the precautionary principle, we already have sufficient evidence to act on the scientifically established links between exposures at work, home and in our wider environment and, by extension, contribute to predisposition to and proliferation of breast cancer. One example in the UK is the National Cancer Research Institute who has spent over £4.5bn on cancer research since 2002, with only 3.6% being directed to prevention. Even the NCRI realise this is a “startlingly low figure” rising by only 1.2% since 2002. There is a similar miniscule spend internationally with only 6.8% spent on breast cancer prevention. Furthermore – they provide no breakdown of what they mean by ‘prevention’. We also find that initiatives to increase action on or to examine prevention – focus almost exclusively on individual health behaviours i.e. lifestyle factors such as diet and exercise which may be good for body and soul but will not stop our continuous, cumulative and combined exposures to a range of MERCs on a daily basis. If the cancer establishment knows enough to act and legislate on lifestyle behaviours then isn’t it time to move the focus onto other preventive initiatives? But narrowing the predominant research focus to lifestyle creates a catch 22 situation where lifestyle research begets more lifestyle research, which upholds the status quo position that breast cancer is largely down to lifestyle factors. Social media is a huge new route for fundraisers – especially for cancer research. However, the same problem applies. When it comes to deciding HOW their money is spent – how many donors are aware of the much neglected and profoundly underfunded field of environmental and occupational links to breast cancer when it comes to deciding how their money is spent? For example, the #nomakeupselfie for cancer awareness raised £8m in the UK to be spent on clinical trials. 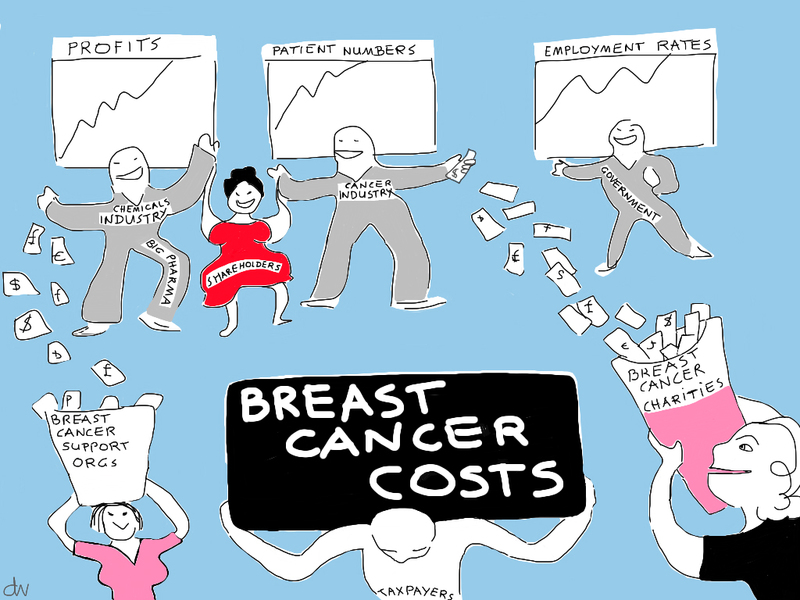 Nothing was allocated for primary prevention – the missing angle on breast cancer agenda. This whole issue of research funding needs a strong spotlight shone on it and we women need to be asking the questions we didn’t realise need to be asked.